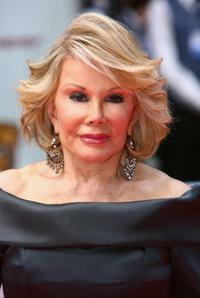 Joan Rivers at the British Academy Television Awards. 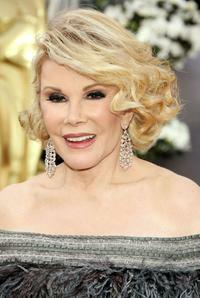 Joan Rivers at the 79th Annual Academy Awards. 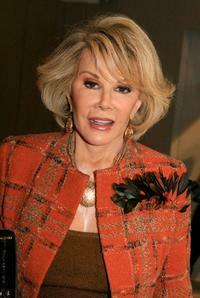 Joan Rivers at the Bill Blass Fall 2007 fashion show during the Mercedes-Benz Fashion Week. 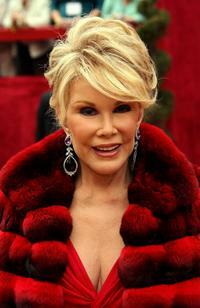 Joan Rivers in "Joan Rivers: A Piece of Work." 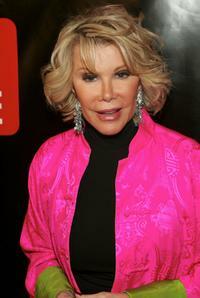 Joan Rivers at the 4th annual TV Guide after party celebrating Emmys 2006. 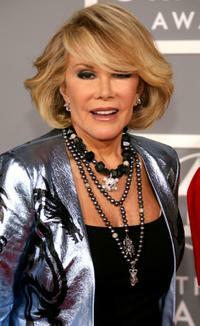 Joan Rivers at the 78th Annual Academy Awards. 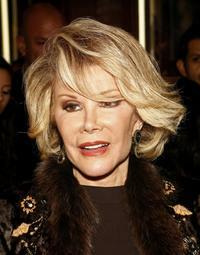 Joan Rivers at the 10th anniversary celebration of Rosies For All Kids Foundation. 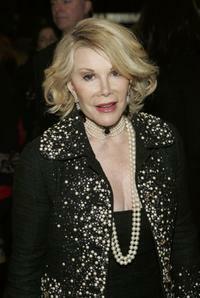 Joan Rivers at the premiere of "Mother Courage And Her Children." 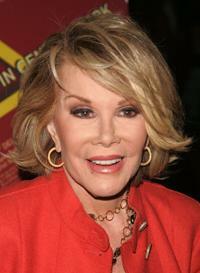 Joan Rivers at the after party of "Peter and Jerry." Joan Rivers at the opening of the JCPenney Experience. 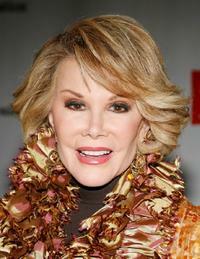 Joan Rivers at the Olympus Fashion Week. 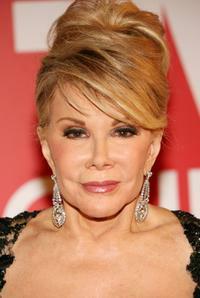 Joan Rivers at the opening night return to Broadway of "Les Miserables." Joan Rivers at the Broadway opening of "The Apple Tree." 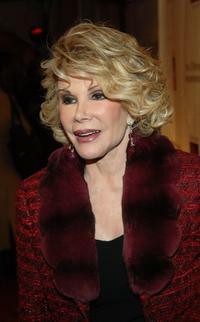 Joan Rivers at the opening night of "A Spanish Play." 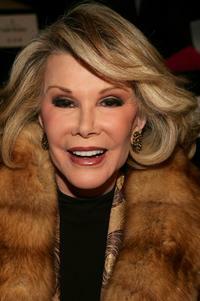 Joan Rivers at the opening night of "Dirty Rotten Scoundrels" after party. 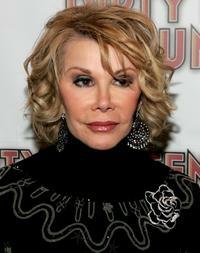 Joan Rivers at the TV Guides Launch of New Magazine. 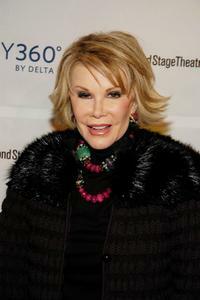 Joan Rivers at the opening night of "What the Bleep: Down the Rabbit Hole."